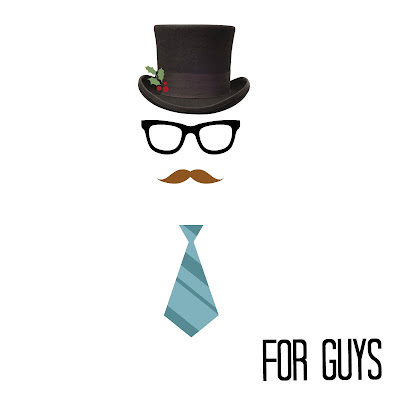 When it comes to getting gifts for the guys it can be challenging. I always usually ask them what they want or end up getting clothes since it's easy. these would be great for dads, boyfriends, husbands, and even your sons. I think I have something for any age group. Here is something for the sports fanatic on your list, which probably means every guy on your list, lol. after 108 years of not winning we finally made it. The whole city was celebrating the the Win, #FlytheW was everywhere. So of course I had to include Chicago Cubs gear on my list from one of the stores right across from Wrigley Field, Clark Street Sports. 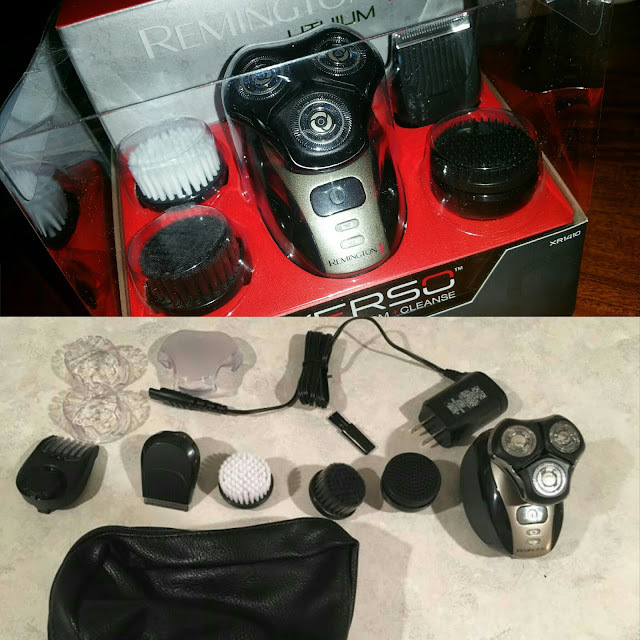 Remington XR1410 Verso Wet & Dry Men's Shaver & Trimmer Grooming Kit, Men's Electric Razor, Facial Cleaning Brush, and Beard Trimmer. Talk about an all in one tool for the men, no need to have many different products to stay looking fresh and clean. They will be able to cleanse their faces, groom/trim their beards and do a complete shave when needed. I'm sure all the men will enjoy the Remington Verso this holiday season. The 5 attachments included are: a gentle bristle brush for daily cleansing; Brush with charcoal infused bristles for deep scrubbing; Pre-shave prep brush to lift hairs; High performance triple head rotary shaver delivering a close result; Precision trimmer for those finishing touches on beards, mustaches, sideburns and more. l00% waterproof with WETech gives you the freedom to shave with foam, in the shower, or dry. Plus, cleaning it is fast and easy. This cologne has a Burst of Italian bergamot, lime, and crisp apple. It smells very good, it is fresh and clean and has me wanting to take another whiff. This is definitely one of my favorite scents for men this season. Original Penguin's new fragrance ORIGINAL BLEND is a refreshing clean marine scent immersed in a striking crafty bottle design of substantial stature and striking color.Evoking a sense of style and temptation ORIGINAL BLEND opens with a burst of Italian bergamot kaffir lime and crisp apple. The scent infuses into a blend of crushed lavender shaved nutmeg and brushed suede and is then finely wrapped with a dry down of sandalwood musk and warm amber. This fresh aquatic fougere is the perfect blend of heritage wit and masculinity certain to stimulate the senses and stop by-passers in their tracks. Do you have more gift ideas to add?? 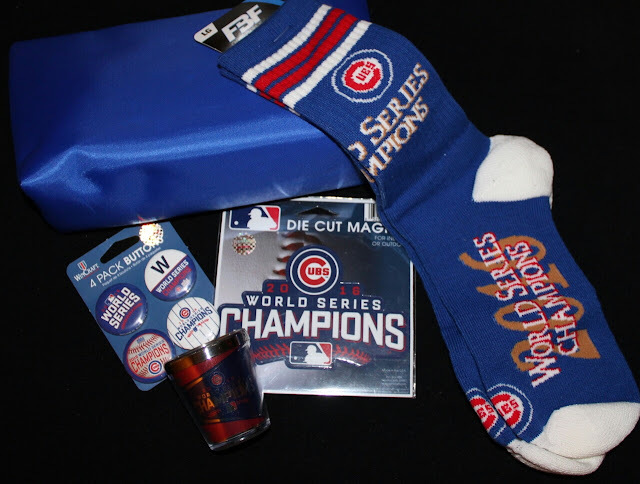 These are some great options, I love the idea of a sports gift pack! Thanks for sharing! 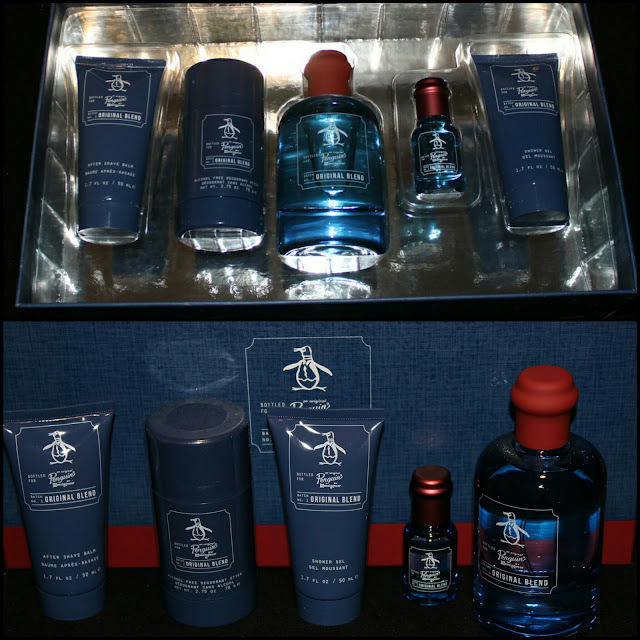 I don't think you can go wrong with a good razor and aftershave sets. They can enjoy the gift all year and use it a lot more than a novelty gift that sits on a shelf.